Get ready for the galaxy mission! Hard times fell upon the galaxy and you are the only one to save it. 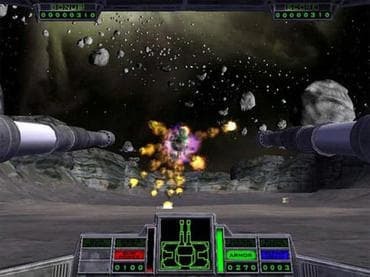 The problem is that you have only one space tank to destroy the attacks of space shooters. The planets wait for you to save them! Download free full version game and start your mission! Free Game Features: - Absolutely original enemy units; - Seven large missions with a huge Boss at the end of each; - More than 100 breathtaking levels; - Unique and truly addictive gameplay; - Unique power-ups; - Save / Load game option; - Game statistics; - Free full version game without any limitations. If you have questions about Star Gunner game, please contact us using this form.